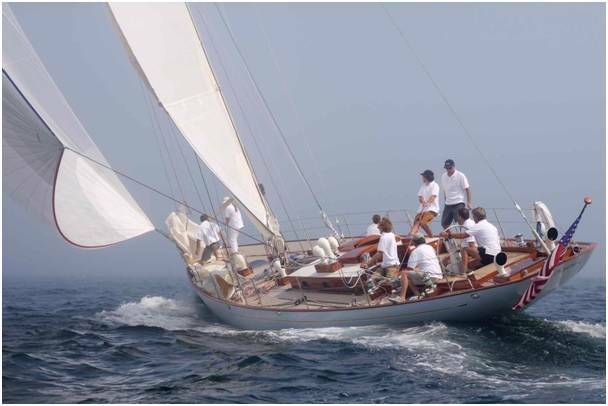 Sparkman & Stephens (S&S), the naval architecture and brokerage firm founded by Olin Stephens and Drake Sparkman in 1929, announced that it was acquired by a group of private investors led by Brooke S. Parish and John B. Reuter. The transaction enables S&S to implement expansion strategies in its design and brokerage businesses, for which it sought growth capital. The firm remains privately held and terms of the deal were not disclosed. “We feel a tremendous sense of pride and responsibility to assume stewardship of a brand and a company whose legacy in American yachting cannot be overstated,” said Parish, who will serve as S&S’s new Chairman. “We intend to put significant effort and capital into building both the design and brokerage businesses.” Parish, an asset management professional in New York and an experienced yachtsman, owns Mermaid, a 1957 Sparkman & Stephens ketch originally built for Austin Goodyear. “S&S’s history has been characterized by early adoption of new technology, materials, and engineering techniques for almost a century,” said Reuter, who has been named CEO. “We are enthusiastic about continuing to build on that foundation.” Reuter is a successful entrepreneur and private equity investor and has been involved with yachts for nearly 20 years. Jason Black, the Company’s COO, based in Greenwich, Connecticut, initiated the transaction and negotiated on behalf of the Company. Black will remain responsible for S&S’s brokerage team, business development and operations. “We intend to maintain the Company’s full design and brokerage staff, as well as add new positions over the coming the months – we’re hiring! A new office in Ft. Lauderdale is also being discussed,” said Black.